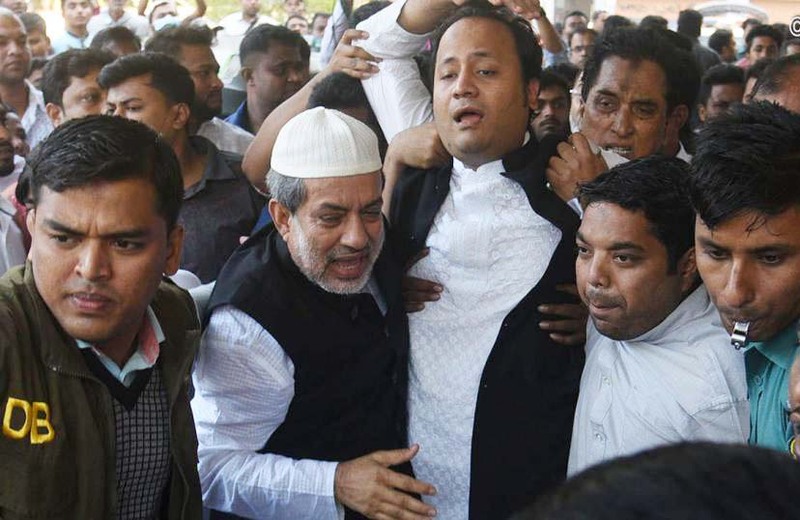 Dhaka, Dec 18 (Just News): At least 10 people were killed and 50 others injured in an inhuman stampede during the qulkhwani of late former Chittagong City Corporation Mayor ABM Mohiuddin Chowdhury at a convention centre atAskar Dighirpar in the city on Monday. The deceased were identified as Jhantu Das, 46, Sudhir Dey, 43, Krishna Prasad, 38, Pradeep Talukdar, 46, Liton Deb, 39, Titu Dey, 36, Subhashish Talukdar, 37, Ujjal Chowdhury,42, Kanak Das, 39, and Ashish Barua, 45. Officer-in-charge of Chawkbazar Police Station Nurul Huda told UNB that the bodies of at least nine people were recovered from the spot till 1:30pm and those were sent to Chittagong Medical College Hospital (CMCH). 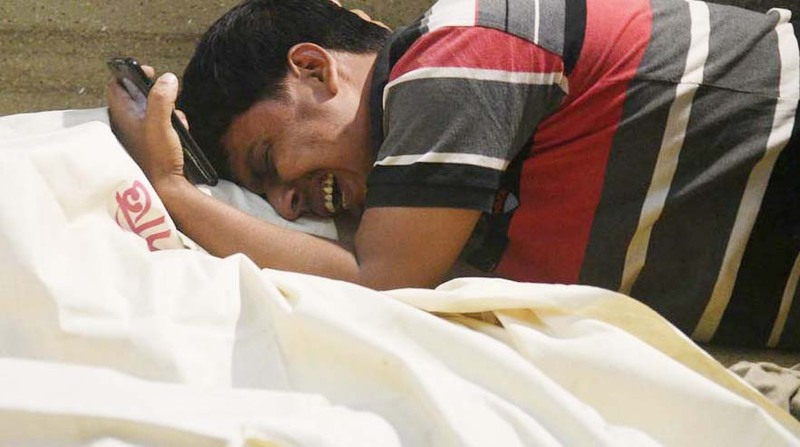 In-charge of the CMCH police camp Zahirul Islam said one of the injured succumbed to his injuries at the hospital. "The death toll may rise," he added. Marking the qulkhwani of the late former mayor, mezbans were arranged for at least 80,000 people of all communities at 12 places of the port city. A similar feast was arranged at Rima Convention Centrefor the members of Hindu, Buddhist and Christian communities. Chittagong Metropolitan Police Commissioner Iqbal Bahar said people were taking food peacefully since morning. However, the rush increased in the afternoon. "The stampede occurred as people jostled for entering the venue through a small gate together." He also claimed that there was no lack of security at the venue. 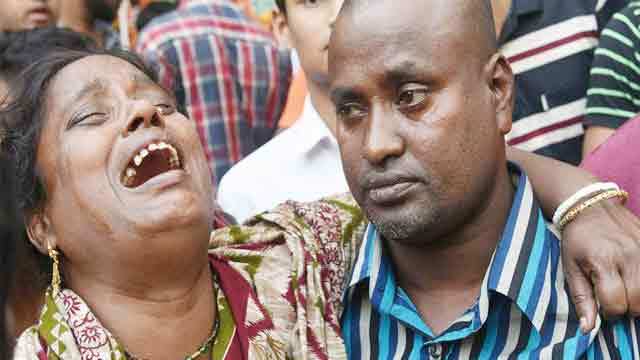 Meanwhile, Mohiuddin's elder son and organising secretary of Awami League Mahibul Hasan Nawfel rushed to the hospital and announced to provide Tk 5,000 for the burial of the deceased each and Tk 1 lakh for their families each. He also took the responsibility of treatment of the injured. Besides, the district administration announced to provide Tk 25,000 for the burial of each deceased and Tk 5,000 for the treatment of the injured, said Additional Deputy Commissioner Masudur Rahman Shikder. 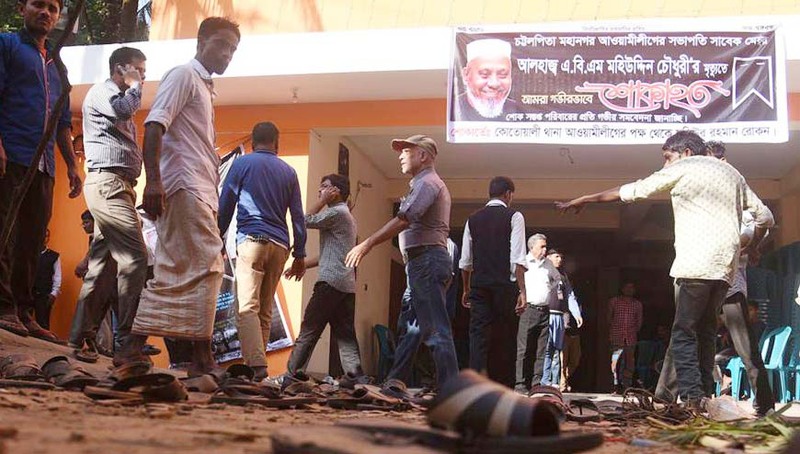 CCC councillor from Jamal Khan ward Shaibal Das Sumon blamed mismanagement of the authorities concerned for the stampede, saying,"The capacity of Rima Convention Centre is highest 4,000 whereasthe mezbanwas arranged for 10,000 people." The other venues for mezban include Mohiuddin's Chashma Hill residence in Sholoshahar area, The King of Chittagong in Panchlaish area, K Square Community Centre at GEC intersection, Kisholoy Community Centre at Chawkbazar, Swiss Park Community Centre in Panchlaish R/A, Swaranika Community Centre at Love Lane, N Mohammad Convention Hall in Muradpur area, KB Convention Hall at Bakalia, BIP Banquet Community Centre and Sagarika Square at Kazirdewri and Golden Touch Community Centre in Double Mooring area and Chashma Hill. Mohiuddin Chowdhury, also the Awami League's Chittagong unit president, passed away early Friday at Max Hospital here at the age of 73.